Andorra (Listeni/ænˈdɔrə/; Catalan pronunciation: [ənˈdorə], locally: [anˈdɔra]), officially the Principality of Andorra (Catalan: Principat d’Andorra), also called the Principality of the Valleys of Andorra (Catalan: Principat de les Valls d’Andorra), is a landlocked microstate in Southwestern Europe, located in the eastern Pyrenees mountains and bordered by Spain and France. It is the sixth smallest nation in Europe, having an area of 468 km2 (181 sq mi) and an estimated population of 85,000 in 2012. Its capital, Andorra la Vella, is the highest capital city in Europe, at an elevation of 1,023 metres (3,356 ft) above sea level. The official language is Catalan, although Spanish, Portuguese, and French are also commonly spoken. 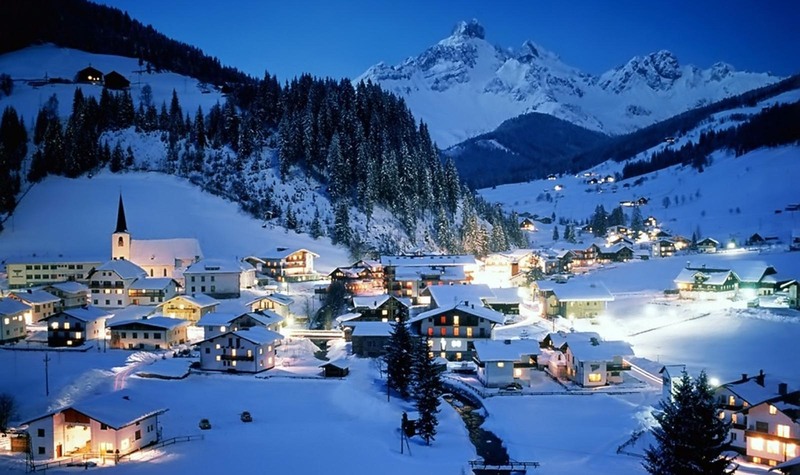 Andorra is a small, landlocked country in southwestern Europe, located in the eastern Pyrenees mountain range and bordered by Spain and France. With an area of 468 km², it is the sixth smallest country in Europe and also the largest of the European microstates. Andorra consists predominantly of rugged mountains, the highest being the Coma Pedrosa at 2,942 metres (9,652 ft), and the average elevation of Andorra is 1,996 metres (6,549 ft). These are dissected by three narrow valleys in a Y shape that combine into one as the main stream, the Gran Valira river, leaves the country for Spain (at Andorra’s lowest point of 840 m or 2,756 ft). 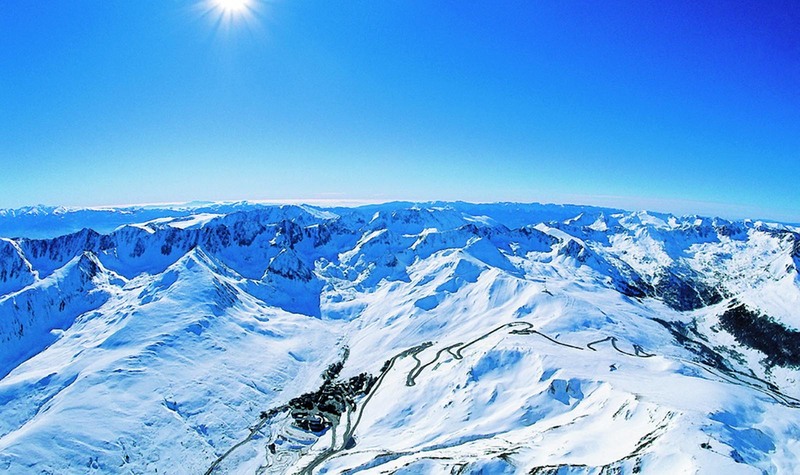 Andorra’s climate is similar to that of its neighbours’ temperate climates, but its higher elevation means there is, on average, more snow in winter, lower humidity, and it is slightly cooler in summer. There are, on average, 300 days per year of sunshine. 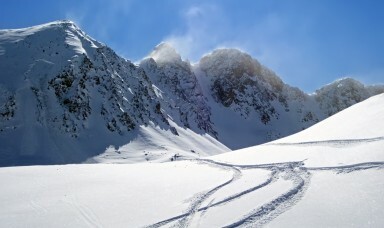 Landslides and avalanches are the main natural hazards. There are frequent earthquakes below Richter magnitude 2. 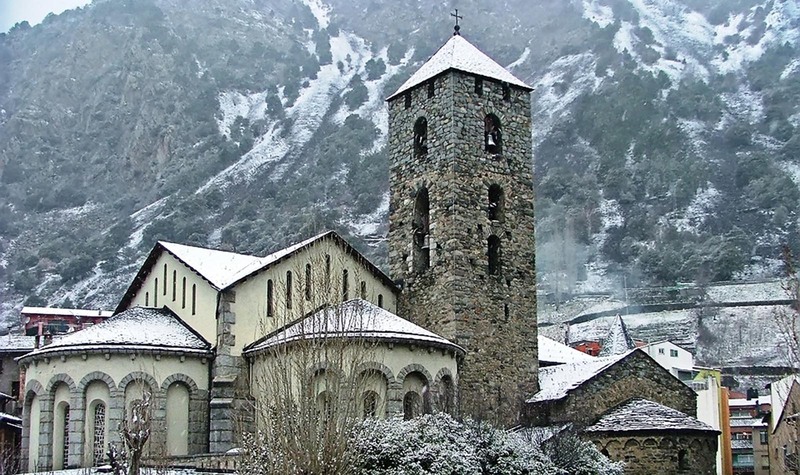 There is no historical record of any damaging earthquakes in Andorra, but the Andorran government has studied the possibility of a future one. The population of Andorra is estimated to be 85,082 (July 2011). The population has grown from 5,000 in 1900. Andorran nationals form a plurality, but not a majority, in the country (31,363 / 33%); other nationalities include Spaniards (27,300 / 23%), Portuguese (13,794 / 21%), French (5,213 / 17%), Britons (1,085) and Italians. Two-thirds of the population is made up of citizens without Andorran nationality, who do not have the right to vote (suffrage) in communal elections. Moreover, they are not allowed to be elected as president or to own more than 33% of the capital stock of a privately held company. Andorra is a parliamentary co-principality with the President of France and the Bishop of Urgell (Catalonia, Spain), as co-princes. This peculiarity makes the President of France, in his capacity as Prince of Andorra, an elected reigning monarch, even though he is not elected by a popular vote of the Andorran people. 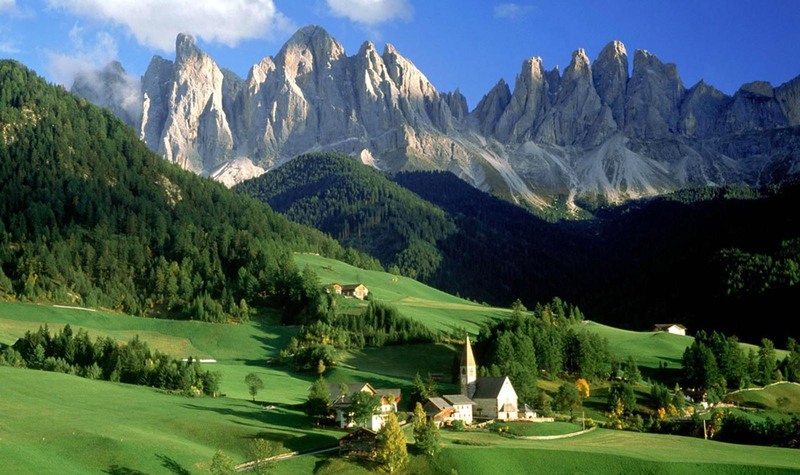 The politics of Andorra take place in a framework of a parliamentary representative democracy, whereby the Head of Government is the chief executive, and of a pluriform multi-party system. Candidates for the nomination can be proposed by a minimum of one-fifth of the Councillors. The Council then elects the candidate with the absolute majority of votes to be Head of Government. The Syndic General then notifies the Co-princes who in turn appoint the elected candidate as the Head of Government of Andorra. The General Council is also responsible for proposing and passing laws. Bills may be presented to the Council as Private Members’ Bills by three of the Local Parish Councils jointly or by at least one tenth of the citizens of Andorra. 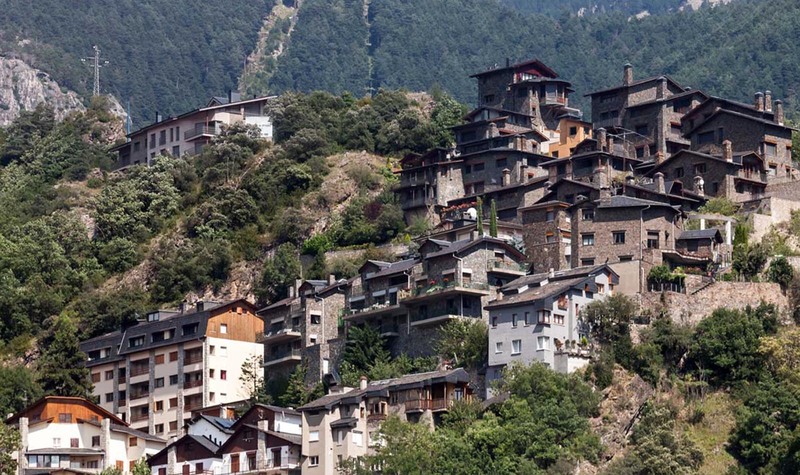 Tourism, the mainstay of Andorra’s tiny, well-to-do economy, accounts for roughly 80% of GDP. An estimated 10.2 million tourists visit annually, attracted by Andorra’s duty-free status and by its summer and winter resorts. 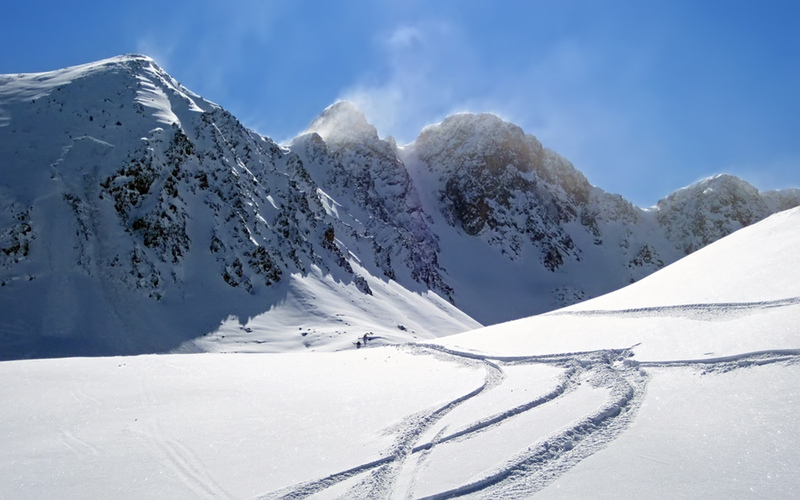 Andorra’s relative advantage has recently eroded as the economies of adjoining France and Spain have been opened up, providing broader availability of goods and lower tariffs. The banking sector, with its tax haven status, also contributes substantially to the economy. Agricultural production is limited—only 2% of the land is arable—and most food has to be imported. Some tobacco is grown locally. The principal livestock activity is domestic sheep raising. Manufacturing output consists mainly of cigarettes, cigars, and furniture. 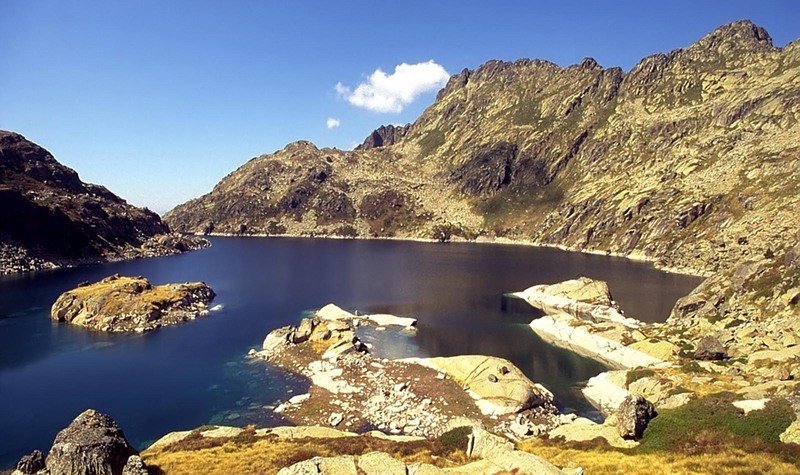 Andorra’s natural resources include hydroelectric power, mineral water, timber, iron ore, and lead. Andorra is not a member of the European Union, but enjoys a special relationship with it, such as being treated as an EU member for trade in manufactured goods (no tariffs) and as a non-EU member for agricultural products. 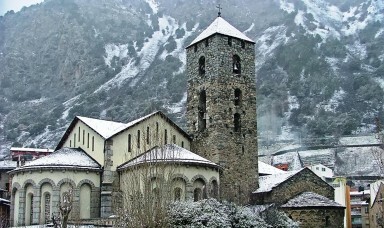 Andorra lacked a currency of its own and used both the French franc and the Spanish peseta in banking transactions until 31 December 1999, when both currencies were replaced by the EU’s single currency, the euro. Coins and notes of both the franc and the peseta remained legal tender in Andorra until 31 December 2002. Andorra is negotiating to issue its own euro coins. Andorra has traditionally had one of the world’s lowest unemployment rates. In 2009, it stood at 2.9%. 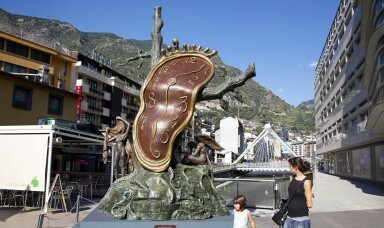 Andorra has long benefited from its status as a tax haven, with revenues raised exclusively through import tariffs. However, during the European sovereign-debt crisis of the 21st century, its tourist economy suffered a decline, partly caused by a drop in the prices of goods in Spain, which undercut Andorran duty-free shopping. This led to a growth in unemployment. On 1 January 2012, a business tax of 10% was introduced, followed by a sales tax of 2% a year later, which raised just over 14 million euros in its first quarter. 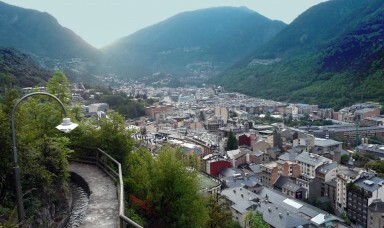 On 31 May 2013, it was announced that Andorra intended to legislate for the introduction of income tax by the end of June, against a background of increasing dissatisfaction with the existence of tax havens among EU members. The announcement was made following a meeting in Paris between the Head of Government Antoni Marti and the French President and Prince of Andorra, François Hollande. 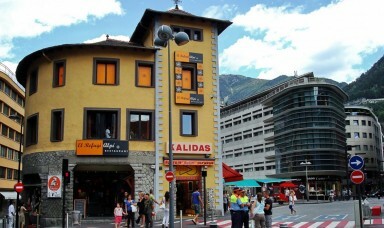 Hollande welcomed the move as part of a process of Andorra “bringing its taxation in line with international standards”. Andorra is home to folk dances like the contrapàs (ca) and marratxa, which survive in Sant Julià de Lòria especially. Andorran folk music has similarities to the music of its neighbours, but is especially Catalan in character, especially in the presence of dances such as the sardana. Other Andorran folk dances include contrapàs in Andorra la Vella and Saint Anne’s dance in Escaldes-Engordany. 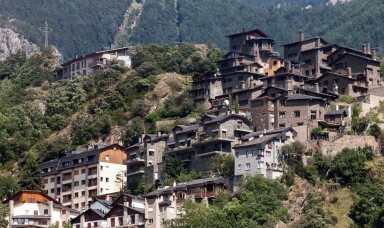 Andorra’s national holiday is Our Lady of Meritxell Day, 8 September. American Folk Artist Malvina Reynolds, intrigued by its defence budget of $4.90, wrote a song “Andorra”. Pete Seeger added verses, and sang “Andorra” on his 1962 album “The Bitter and the Sweet.”.